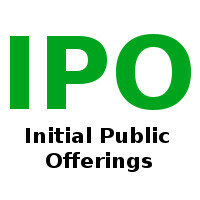 John Energy is a company based in Mehsana, Gujarat filed their IPO prospectus worth Rs.350 crore. The company is backed by the ace investor Rakesh Jhunjunwala. The company plan to raise Rs.350 crore from ipo which include new shares and a share sale of existing investors. As the Rakesh Jhunjhunwala is a second largest investor in the company it will be surely in demand. Rakesh Jhunjhunwala is onboard while IRC, IL&FS Financial Services to offload the shares in the ipo. The company OFS include 1,677,744 shares by India Rig Company (IRC) and IL&FS Financial Services Limited. Rakesh Jhunjhunwala holds 33,45,169 shares which is around 18.21% of equity stake. He made an investment in 2016 while other investors is ICICI Bank with 8,20,967 shares which is around 4.47% of the stake. John Energy Ltd is a manufacturer of equipment which used in Oil and Gas industry. The company posted revenues of 581.7 crore rupees in the resultes ended on 31 March 2017. The company has reported PAT of 71 crore in 2017 which is above the double of 29 crore compare to 2016. The public issue will be managed by IDFC and Keynote Corporate services.